This well maintained property provides a great opportunity to rent a home in a popular & convenient area. The location is well served by Metro bus links and offers a short commute to Belfast city centre via nearby road networks. The property benefits from being close to many local leading primary and secondary schools, shops, cafes and the amenities surrounding. Internally the property has a bright living room/dining area, modern kitchen, three spacious bedrooms & a family bathroom with white suite. 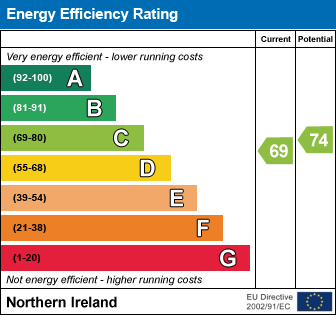 Further benefits from uPVC double glazing & GFCH. Externally there is a driveway to front & enclosed garden to rear. Check out the property I found on PropertyPal.com: 22 Castlemore Park, Belfast BT6 9RP.